WordPress is undoubtedly the world’s most widely used website software that gives creative web designers an opportunity to develop outstanding themes for virtually any type of website. 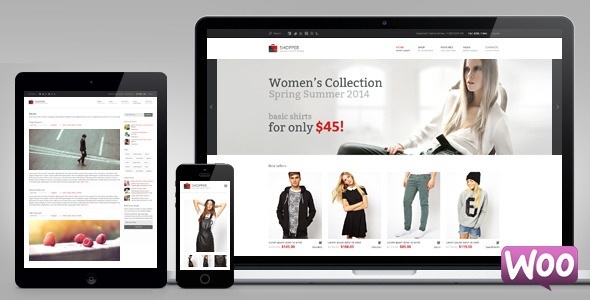 eBay, one of the most popular shopping websites, is powered by WordPress. Others include, TechCrunch, The New Yorker, MTV News, BBC America, Bata, Best Buy, Quartz and many more. It is believed that over 10 million websites are powered by WordPress, and this figure continues to swell. A lot of businesses are quickly adopting WordPress as their preferred website creation platform because of its flexibility, ease of use, cost effectiveness and robust architecture, which allows it to support large websites of any kind. So, what exactly is WordPress? This is basically an open source content management system (CMS) that is built on PHP and MyYSQL, and features a template system and a plug-in architecture that allows people to create functions they want to have on their websites. WordPress can be used by potentially any type of business/website for such things as blogging, ecommerce, photography, video sharing, social media, a news site, etc. Its template system enables thousands of designers to create captivating templates that add beauty to the web and makes it easy for visitors to interact with the site and remain there. With a library that hosts tons of template designs, a WordPress platform also allows designers to earn a living off of their creativity, which helps in generation of new ideas that enhance user experience. 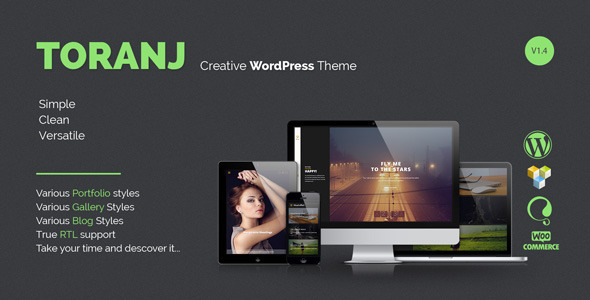 Below are the top 20 WordPress themes for 2015. Be Theme is an elegantly designed and responsive theme for WordPress that gives you over 100 premade layouts with one click installation ability to match your business type without any coding necessary. These premade layouts are divided into seven major categories that most businesses fall under. They include, business, entertainment, creative, blog, portfolio, shop and miscellaneous. This gives you limitless abilities of usage. Avada is the most downloaded premium theme this year, and highly rated by critics, although it’s been around for quite a while dominating the scenes. It’s a hyper sleek theme that is remarkably flexible and easy to use. Top features include: One-click demo import, 6 blog layouts, seamless integration with WPML, great support (9/10), advanced theme options, 5 distinct headers and mega menu. Others include responsive design, which comes with extensive documentation, premium sliders, unlimited colors and free updates. X theme is a multipurpose theme, and one of the fastest loading themes created this year. It gives you the ability to preview your page before publishing it on the web. It comes with four unique stacks (designs) that allow you to get the type of look that you want. 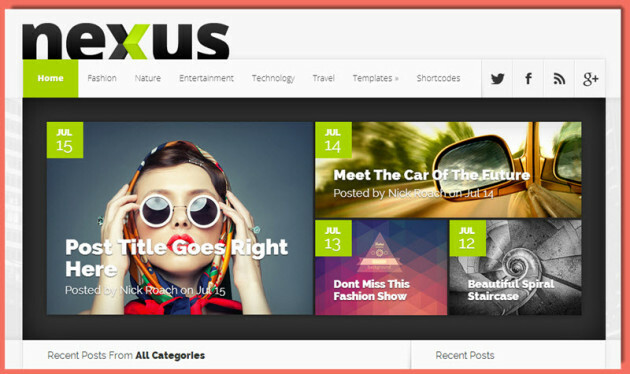 As a multipurpose theme, you can use it for blogs, magazine related layouts and so forth. It’s very simple, flexible and preserves its elegance. This is a very flexible theme that features a portfolio as well as content blocks for websites of that nature. It is fairly simple to get around, and comes with numerous customizable options. Enfold is quite appealing in the eyes and comes with numerous pre-made layouts that do not require coding knowledge to implement. If you’re looking for a photographic theme, magazine or a theme to use for posting portfolio content, this is your best pick. 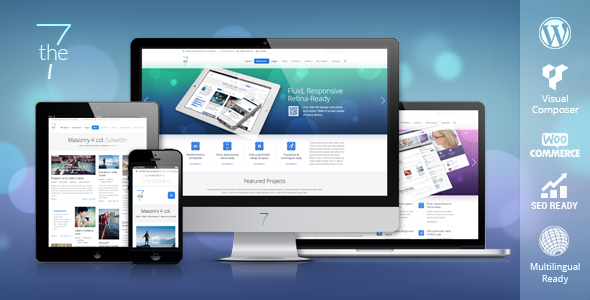 Bridge is a responsive and multipurpose theme built on QODE framework. It comes with an elaborate admin panel that allows users to create rich pages. Among numerous on-board bonuses, users will also benefit from over 90 pre-made layouts that are easy to implement even without any tech skills. A list of compatible integration solutions includes WooCommerce, WPML for multi-lingual translation, Font Awesome, Visual composer page builder (a backend page builder plug-in), among others. 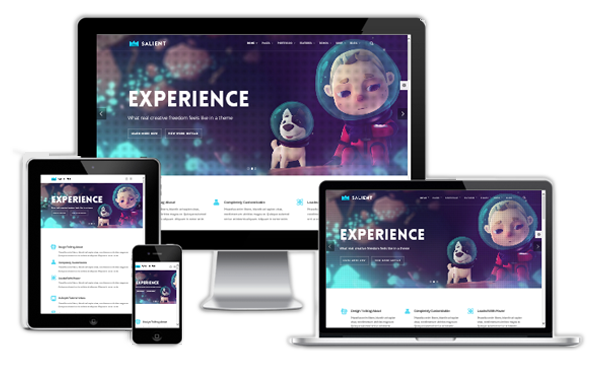 Salient is a responsive and eye catching theme that is ultra-sleek. Its futuristic design is of great help to blog owners and magazine content builders. This theme is also ideal for general and industry specific types of businesses, thanks to its fully customizable features that offer unlimited possibilities. 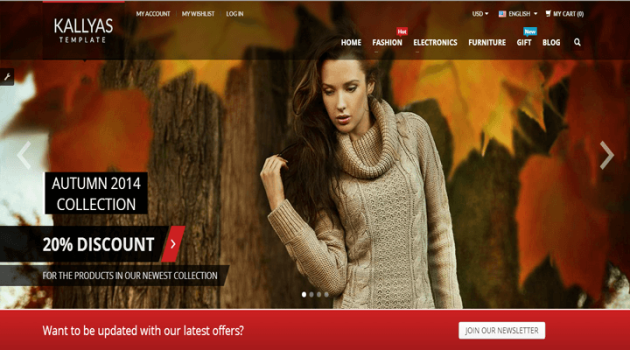 Bazar shop theme is an innovative e-commerce theme that is structured on WooCommerce. It is extremely flexible and comes with numerous features that make it easy to use, coupled with at least ten pre-made layouts that are easy to implement through a one click procedure. If you’re looking for a great e-commerce theme that is robust and can support insurmountable amount of product lines, then this is your best choice. Kallyas is a super versatile and responsive template for WordPress that offers an array of layout alternatives for varied businesses/website types. For instance, you can implement it for a cooking site, weblog, portfolio, product catalogue, company site, etc. This theme comes with a customizable page builder feature containing over 60 elements that allow you to create totally unique pages. 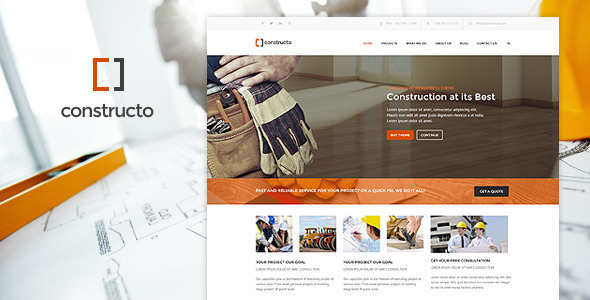 Constructo is a clean, responsive WordPress theme primarily created for construction related businesses. This theme comes with Visual composer, WooCommerce support (for e-commerce stores), revolution slider and an advanced admin panel for it to be used by any type of business. It also contains at least 4 header options, custom widgets and unlimited sidebars. If you’re in the construction sector, this theme is looking for you. 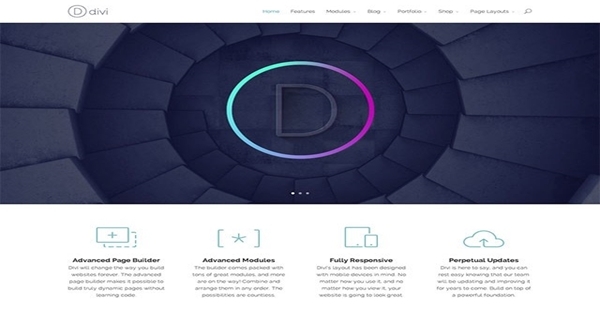 Davi is an elegantly designed theme that has been carefully created by a passionate team of developers. This is a multipurpose theme that can be used for a variety of websites, regardless of the industry, and can deliver a great website that everyone adores. This theme comes with numerous features that make it easy for ordinary users to customize and use it. 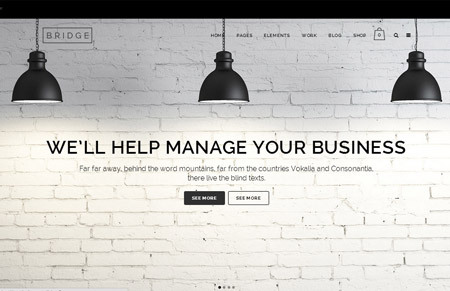 Nimble is a creative business theme that comes with numerous page templates that you can use to customize every page of your website differently. 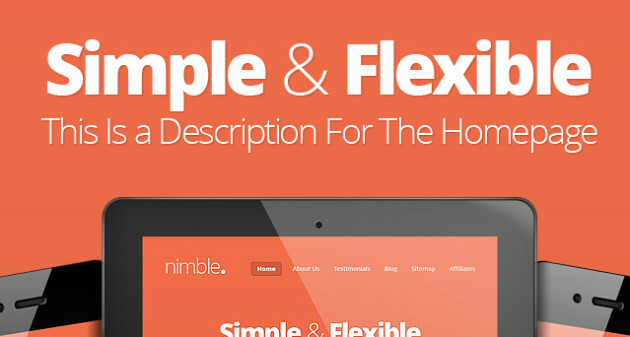 As a responsive theme, Nimble looks elegant on mobile and feels clean too. One of the unique things about Nimble is the ability to reform and fit in every type of screen, and it is light weight, allowing it to load very fast. Nexus is a unique blog/magazine theme that enables a lot of information to be fitted/distributed across a single page and organized in a friendly manner that encourages users to read the content. Everything is arranged neatly without cluttering the home page. With attractive colors, beautiful fonts and attractive information blocks, users are bound to stick to your site and find what they’re looking for effortlessly. This theme is for blogs and magazine types of websites. 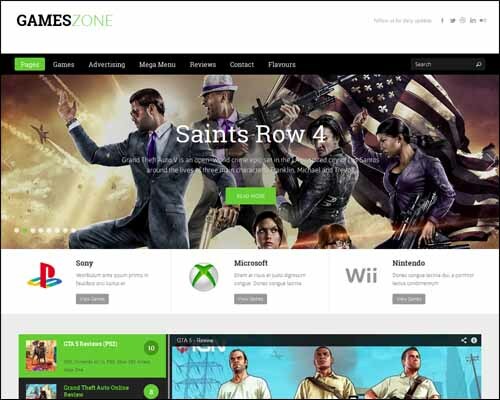 Games zone is an awesome, responsive theme for gaming magazines or gaming blogs. The color blending, coupled with its general formation, makes it look like an ultimate gaming theme for a blog, and surprisingly, it loads pretty fast, especially when compared to many popular gaming sites. This stylish theme is ideal for the gaming industry, mostly for the provision of gaming related information. Toranj is a photography theme featuring great gallery layouts, a double image carousel, blog layouts, etc., and makes a stylish theme for a super model or photographer. 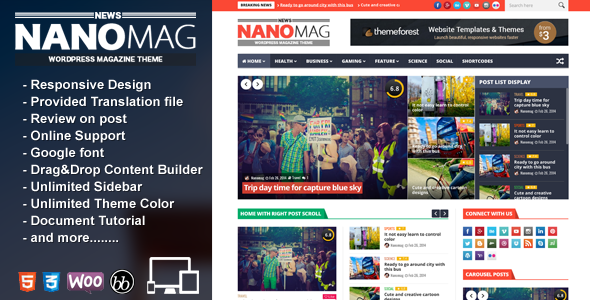 NanoMag is a versatile premium theme meant for online magazine and news based websites. This theme comes with 6 home page layouts, 4 mega menu styles, unlimited sidebars and widgets and 14 page builder blocks, among others. It’s also WooCommerce compatible and easily customizable. An inbuilt review system adds more flavor to it giving you more options to engage with your audiences. 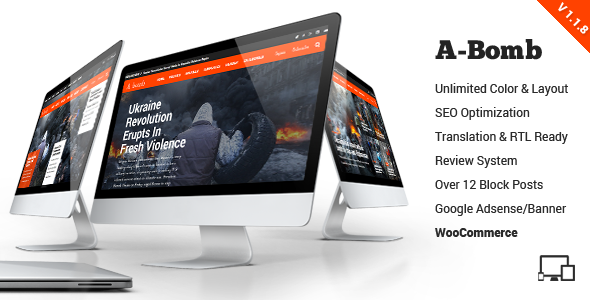 A-Bomb is an awesome theme for an online newspaper, magazine and blogging platforms. It comes with a unique set of features that include responsive abilities, easy customization of fonts and colors, and the ability to employ unlimited layouts with bespoke block posts. You can use custom widgets to include banner ads and even Google Adsense. Accessories is a versatile and fully responsive theme meant for WooCommerce storefronts with a ton of unique features that include mega menus, visual composer, contact forms, unlimited color skins, revolution slider, support, over 350 icon sets, quick product previews and over 600 Google fonts. 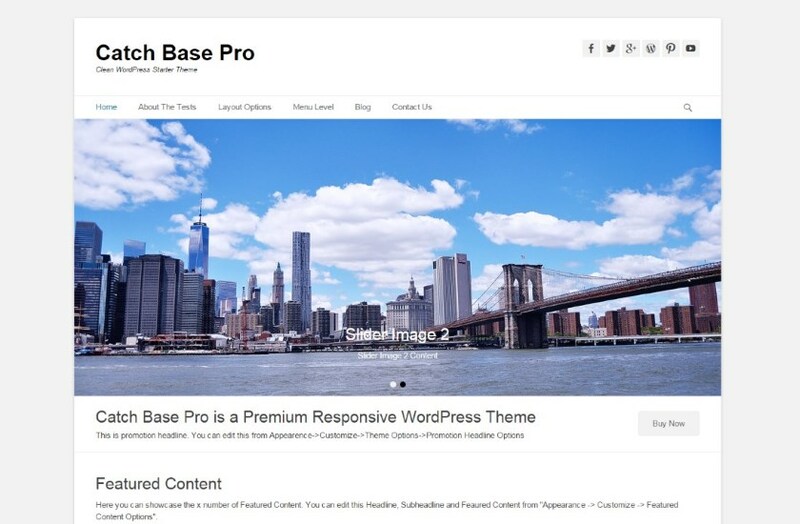 The theme also supports WPML and is SEO ready. 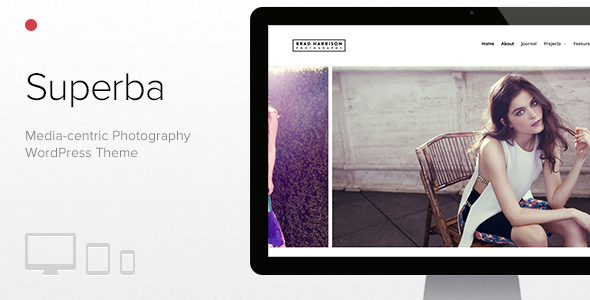 Superba is a responsive WordPress theme designed for professional photographers. This theme is equipped with a page builder containing 18 customizable blocks. Its album can accept multiple videos with lightbox effect, as well as pictures with their descriptions intact. The theme also comes with multiple carousels and sliders to display images and videos. WooCommerce is supported as well. 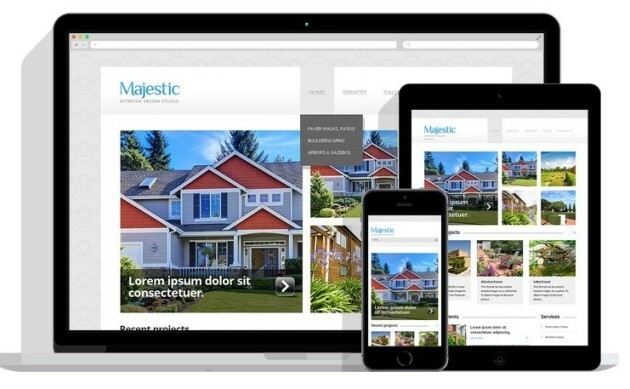 Majestic is a versatile and responsive theme designed for hotels, SPAs, and motels, and showcases guest rooms in a full-screen slideshow. This theme requires no coding experience to use it and is perfect for the hospitality industry. The7 is a fully responsive theme that can be used for any type of business and comes with numerous features that include SEO readiness, responsive capabilities, multipurpose advantage and many more. The7 is simple, elegant and very powerful because it can handle virtually any amount of audience accessing it simultaneously without bloating. Circle Flip is a beautiful WordPress theme that can enhance your web page. Every user can easily install an unrestricted, full demo. This allows you to test the content, before deciding to buy it. The installation process has been simplified, thanks to the implementation of the one click demo installer. Circle Flip will handle the hard parts, while you make the important creative decision. The theme website displays examples of how past clients have used Circle Flip in order to maximize their chances of success. 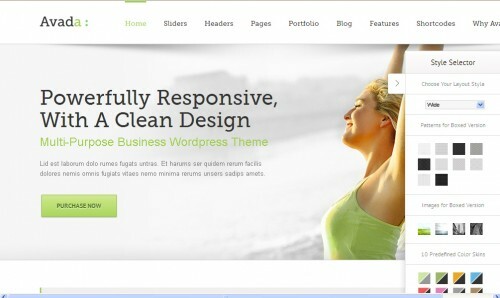 This theme has a user-friendly interface and a modern layout. Any customer can tailor his experience, and create a website that stays true to his vision. This product allows newcomers to compete with established veterans, and enhance their website past any expectation. If you are having trouble with the installation process, be sure to consult the free video tutorials. They can explain everything in detail, helping you to master your site. For those who prefer reading, a detailed theme documentation source has been made available. Circle Flip offers an impressive design for any hosting website. It is optimized, streamlined, and simplified. It embodies a straightforward and efficient business mentality. Your one page site will feature a wonderful menu, and a nifty scroll effect. Lalit is an SEO consultant who runs a SEO house called Ranking By SEO. He is specialized in link building and other SEO related activities. You can also find him on Twitter, Google+ and his personal site. This collection seems outstanding for bloggers.I found a theme appropriate for my website, but i didn’t know the pros and cons of selecting themes, so kindly tell me the features of a good WordPress theme. I am waiting for the reply. Thank you sir. short quesion: you did this ranking on which data basis ? I liked Majestic theme very much and going to implement for my next website. Avada & Enfold themes are my favorite ones. Been using for my websites. Easy to use and have lots of options to customize. Avada theme is the hottest one and also the fastest! Lots of themes is present here with attractive design. I want to share one more Multipurpose WordPress theme that you can use for any website named Kosmic. It is fully customized and responsive theme.